For the first time, looks like Apple is taking a beating thanks to Android’s popularity in recent days. According to a report, Android-based phones outsold the iPhone in the U.S. for the first time last quarter.The Android-based smartphones by Google made up for the 28% of the smartphone sales while iPhone accounted for 21% falling a good 7% behind Android-based phones according to the market research firm NPD. 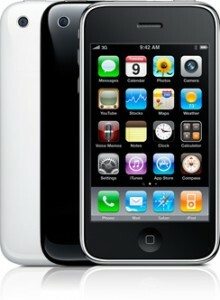 Blackberry maker RIM (Research In Motion) was ahead of both the Android and the iphone with 36% higher sales rate. Despite the recent innovative phone technologies such as touchscreen and others, Blackberry has had the top spot for a good time and remains there. Strong sales for RIM and Android phones were attributed to the buy one get one free offers from Verizon phones. Android also is on many phones which are carried by roughly a dozen carriers contributing to its higher success rate. This is good news to the developers who have been focussing mainly on the iPhone anticipating bigger share of the market to Apple. After this report, working on an Android platform won’t be an issue for the developers. Verizon Customers Switching fast to iPhone!